As summer comes to a close, we head into fall, which is already packed with a ton of stuff! Expect a coverage of the new databook in the coming week. 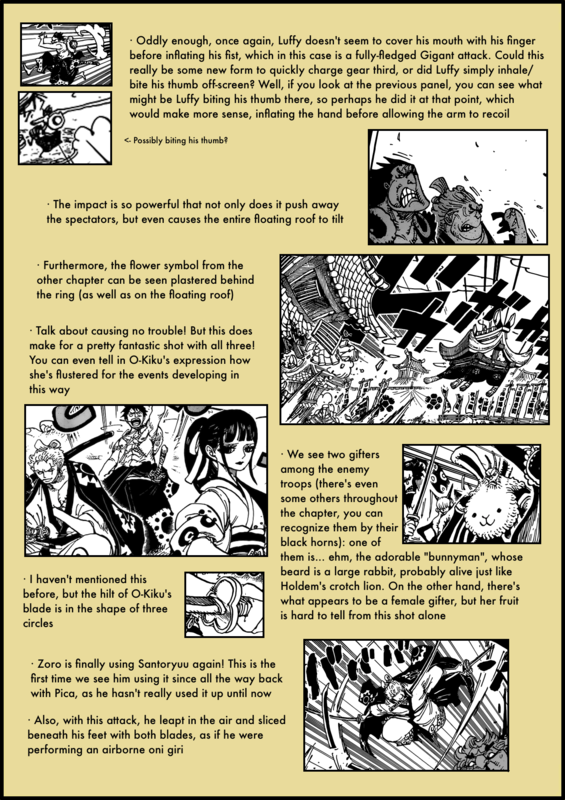 But for now, let’s start chapter secrets! 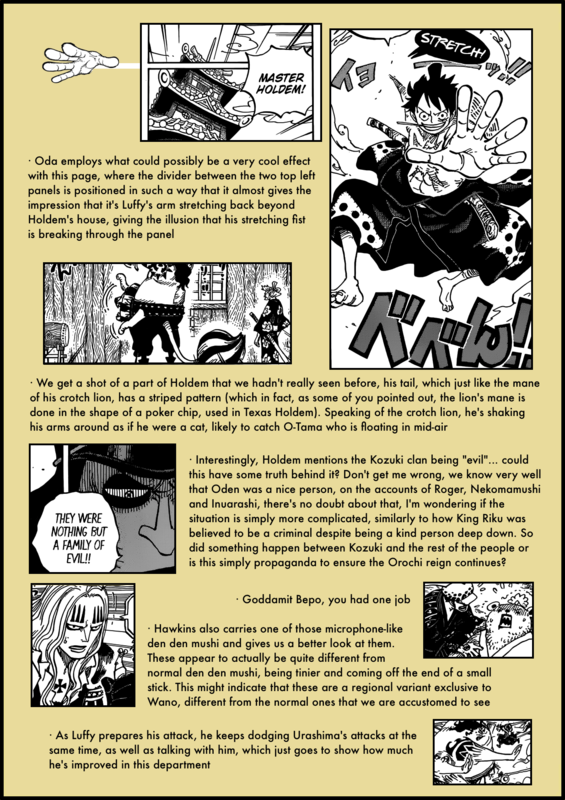 Next Everything You Need to Know About the Vivre Card Databook! I continue to see a plan beyond Hawkins acting..we will see! 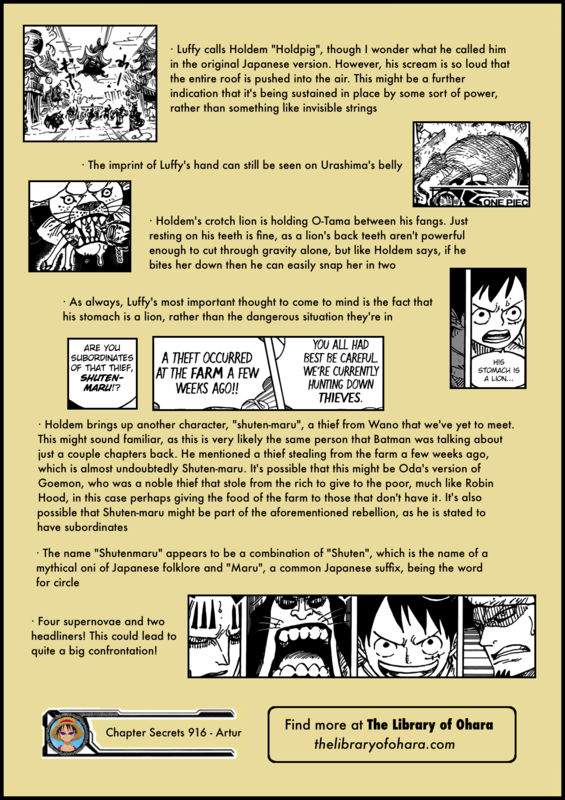 And what about the last panel of Holdem, shouldn’t Oda have drawn the lion arms? 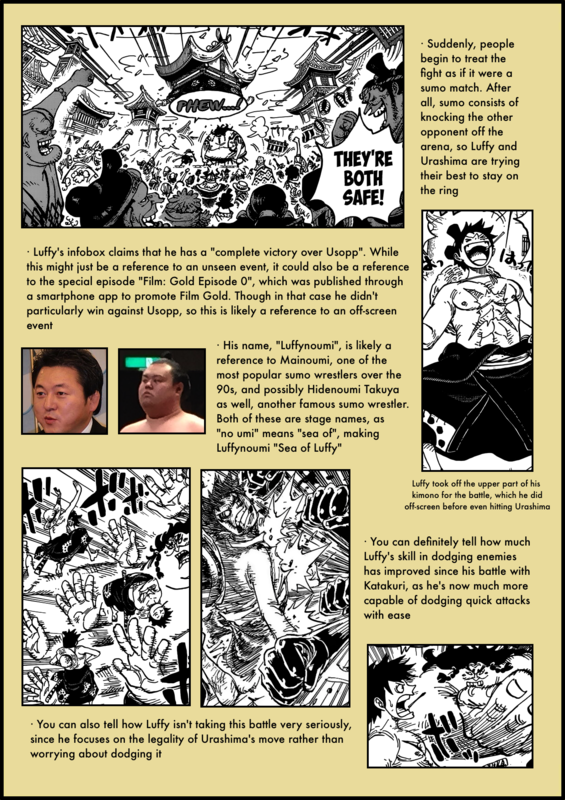 Hello, you probably just missed it but, a better translation for “Luffy-no-umi” would be “Luffy of the sea”. because the same clause is used that way in English. PS: Thanks for your weekly content. 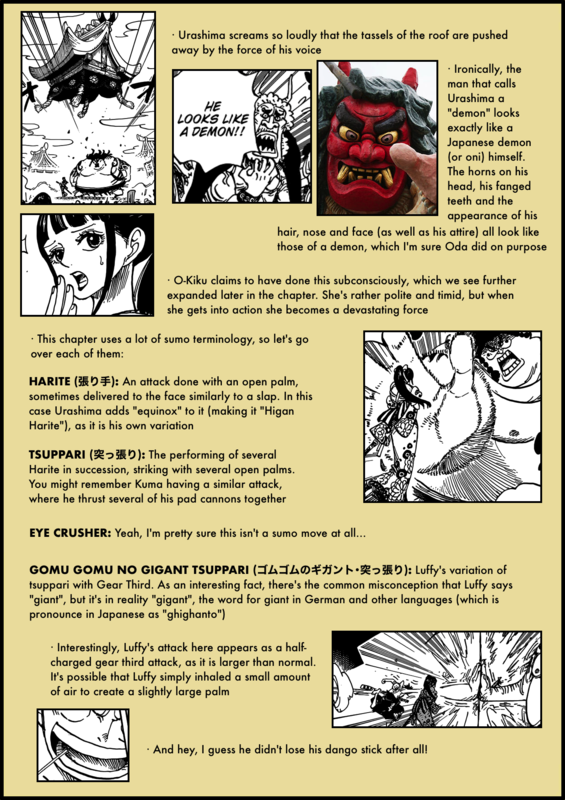 I love reading through them. I may be wrong though. Just wanted to let you know. 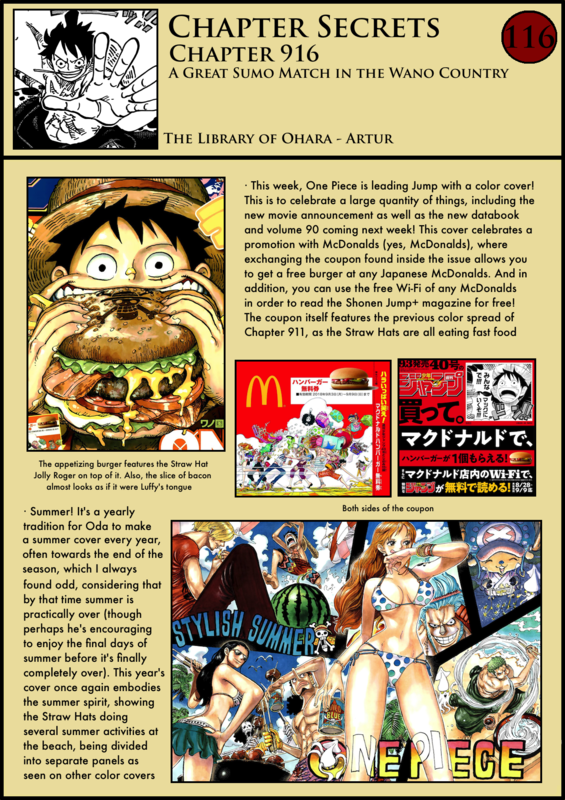 I like oda’s cover spread when it comes to summer especially he focus the center of attraction “Nami.” Great review artur.